25th May 25, 2012 was an unforgettable day for football fans with Kerala faced Services in the semi final of 66th Santosh Trophy football tournament. The match turned to be a disaster for Kerala loosing the match to Services for 1-2 played at the Barabati Stadium, Cuttack. Less than a year, both teams are back again for yet another clash. This time the venue is different and the teams are up for the finals. So the stage is set for a mouthwatering match that will have all the essence of thrills and excitement. After 2004, which saw Kerala winning the title, the team is back in the finals after a gap of nine years. Kerala coach M M Jacob and Services coach Sajith Kumar are well confident about their team. The players of services are in top form while the injuries of few players are a matter of concern for Kerala. The Kerala team lead by P Rahul is on cloud nine after pooling into the finals after nine long years. The massive home support and the ambition to regain the title would be the encouraging Kerala team to play against Services. Considering the performance of both the team, it's very difficult to judge the best. With a handful of key players struggling hard with injuries Kerala don't want to miss their confidence. R.Kannan and captain Rahul might miss the game while Farhad of Services might not find a place in the playing eleven. Being the final with Kerala on the ground, the match would see tight packed spectators cheering for the home team. Kerala coach M M Jacob is much confidence about the passion of youngsters in Kerala for football who would be roaring for the team which would boost the inner strength of the players to lift the trophy. For Sajith Kumar, the coach of Services, the semifinal win had highly motivated the team to move forward and win the title. Services being the defending champions would be having an extra edge over Kerala. After crushing Punjab 3-1 in a thrilling semifinal which took them to the next stage to clash against hosts Kerala for the title. 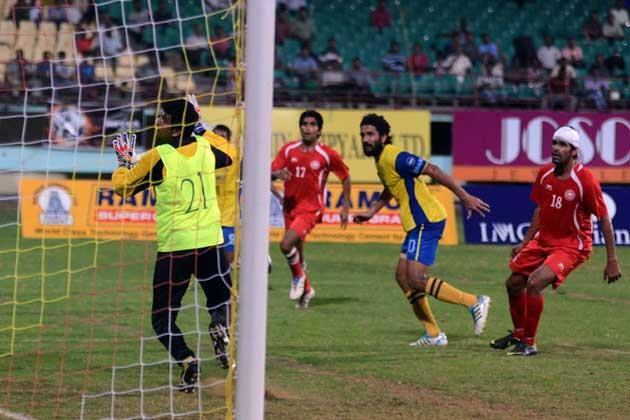 On the other side Kerala had beaten Maharashtra 2-1 in the first semifinal to register their entry into the finals.